It’s Wednesday! That means new comic book day and a stack of number ones reviewed just for you! I started something new a few weeks ago: I featured student guest reviews of some new titles, and we will be doing that again today! That’s right. 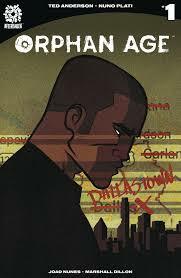 I get to the comic book store at 7:00 A.M., buy a chunk of new titles, have students stop in and grab a few, they read them, we review them. All in the course of the school day. I hope you enjoy. My plan is to feature two-four student writers each Wednesday. The story takes place days before the events of Return of the Jedi. While the story is a fun read and adds some levity before Princess Organa attempts to rescue Han from his imprisonments due to Jabba the Hutt, I don’t think it makes for the best placement on the Star Wars timeline. Couldn’t this story be placed somewhere in the middle of the three years offscreen after The Empire Strikes Back? In my opinion, it’s a really strange way to “force” this issue (pun intended). The art is good; it has some spectacular background drawings. Character art is drawn detailed, and overall impressive. The pacing was not great, but was done well enough to understand. Panels were placed in easy to follow patterns, making this a good read for younger Star Wars fans as well. At the end of the day, it was a good read. 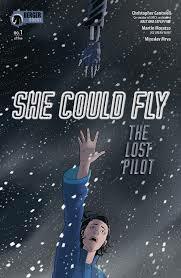 I did have some problems with the plot because it felt unnecessary, and I’m sure there were more exciting events that could of happened with Leia that would have made for a more stirring story. This is probably my favorite Star Wars – Age of Rebellion issue so far. So many things made it immensely enjoyable. Let’s start with that character/world building, impressive, and true to the Star Wars canon. Greg Pak is obviously very good at what he does. 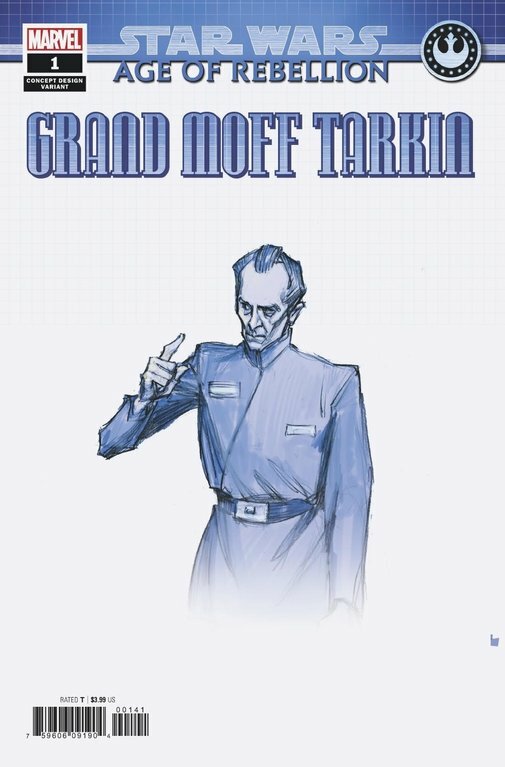 Tarkin is a character whose few scenes in the original series, are enough to remember him by. The cold and ruthless man shown in this issue is exactly what I would expect from the perspective piece of the man who runs the Death Star: a battle station known for its planet obliterating capabilities when fully operational…duh. Story is about what goes on behind the scenes on the day to day running of the Death Star, at parts it coincides with events from A New Hope. The art is visual stunning, adding enough depth to make the dark, bleak environment of the Death Star appealing. Character art is drawn in a very detailed, stylistic fashion; something that can be hard to do when everyone wears a similar cut uniform (not including cloned Stormtroopers). The panels are paced in a slow but determined speed, much like Grand Moff Tarkin’s character development. A intriguing addition to the Star Wars universe. The concept design variant edition is worth picking up when adding to your collection! I thought this one was okay-ish. 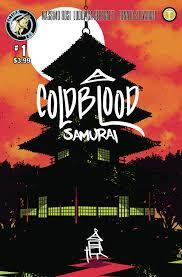 It follows a frog who is a samurai and his learning/training process up to a warrior crab invasion from the west. It reminds me of Kung Fu Panda, except with a ton more narration. Kung Fu Panda was much better. This book tries to use similar elements from that movie. I noticed because, well, the main character is a frog who is a samurai. Which is cool and all, but it could have been better. The book is almost entirely narration. I personally did not like that. There were a few points where I felt like I had accidentally skipped a page. Turns out when I went back to see what I had accidentally skipped, I had not actually skipped anything; it was just an awkward transition to the next page. This book is a follow-up to the 2018 mini-series by the same title. This is clear. So much happens in this book, and none of it makes any sense. If you want to read this book I can only assume that the original series would have to be read first. I did not read the original series, so I could not follow along very well. There are clearly multiple beginnings of this book. I could not even tell how many stories there were in the issue because it moved quickly and explained absolutely nothing. I was able to figure out two main stories. The only thing is, I still could not figure out what they were trying to convey in the bigger picture. After I finished the book, I got a little frustrated because I understood very little, so I looked up a summary. The summary did not shed any light on this book though. The summary described a bunch of stuff that did not even seem to be hinted at. Without reading the prior series, the issue is extremely confusing. If you do read the initial series though, it might be good. There seems to be a ton of background information missing to even see a plot. There was even a little description of what has happened so far before the book starts. It did not help in my opinion. The art was not my personal favorite, but it was not bad at all. The dreams that Luna, one of the main characters, has and are described to her guidance officer are well drawn. While this issue moves at the speed of light, the story is engaging. We find out that all of the adults have died and the kids in the world have now grown up. Many of them live in towns, trying to make the best of the situation they find themselves in. We focus on one particular town when an injured man stumbles in with a warning: The New Church is coming. And they do; and it is not fun. This story feels like something that you have read; however, it’s also sprinkled with a bit of intrigue since we are not given a bunch of answers in the first issue. This one might be one to check out. 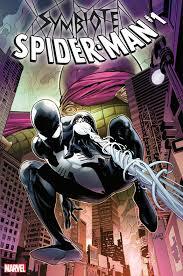 I give Marvel a hard time for being typical, but I don’t feel that way about this new Symbiote Spider-Man. And I know exactly why that is…the timeline of the issue is slightly off chronology, giving the character-packed issue a unique feel. Add this to the fact that a we have a trouble Mysterio, thinking about giving up crime since an innocent woman died during a botched bank robbery (will Spider-Man villains ever learn any other crimes? ), and you have the foundation of a cool story. I enjoyed the two issues that I reviewed, but Sam’s glowing review of the Grand Moff Tarkin book had me interested, so I read the whole issue, and I must say, that Tarkin is a bad mother (shut your mouth). 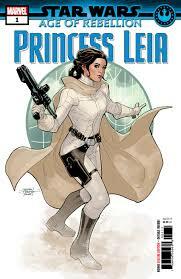 And for the ending of that issue alone, I’m giving the Best of the Week to Marvel, Greg Pak, and Star Wars. Check out the happenings of Alternate Reality by clicking here.